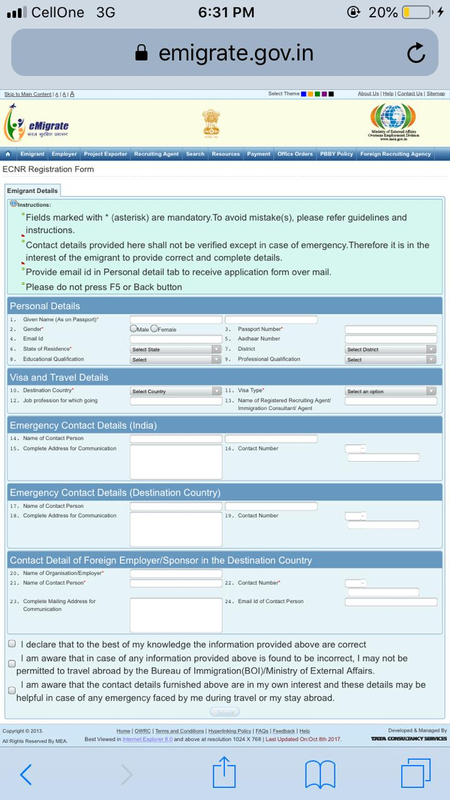 Registration must be completed on the www.emigrate.gov.in portal between 21 days and 24 hours prior to the date of travel. Applicants have to furnish personal, visa and travel details, emergency contact details in India and destination country and contact details of foreign employer/sponsor in the destination country. On successful completion of registration, the applicant will receive an SMS/email. They need to re-register only if their work visa has changed when they visit India again. Dubai: The Indian government’s new online registration will be applicable to all Indians working in the UAE and 17 other notified countries from January 1, 2019, Gulf News can reveal. 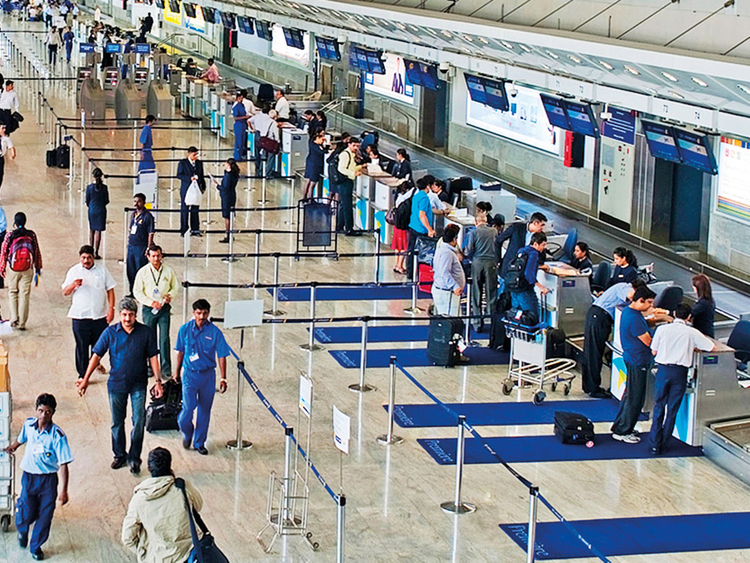 Those who fail to do so will not be allowed to board their flights to these countries. On Tuesday, Gulf News reported that India made online registration mandatory for all Indians holding non-emigration clearance required (Non-ECR or ECNR) passports who have employment visas to 18 notified countries, including the UAE. Now, Indians already working in these countries also have to register when they visit their home country, a senior official confirmed. Speaking over phone from New Delhi, M.C. Luther, joint secretary for overseas employment and protector general of emigrants, clarified that only one-time registration is required as long as an Indian remains on the same company’s employment visa. It is not necessary to register every time one goes back home unless there is a change in visa. Registration must be completed on the eMigrate portal between 21 days and 24 hours prior to the date of travel. Those who fail to do so will be offloaded, according to a recent advisory issued by the Ministry of External Affairs. Emigration Clearance Required (ECR) passport holders who change their passport status to ECNR after three years of overseas employment will also have to complete the ECNR registration. Equating the ECNR registration form to the departure card issued by the Bureau of Immigration, which was discontinued in July 2017, Luther said this new move is a “completely non-intrusive form to respect the privacy of individuals and their employers”. He stressed that the registration will not be used to tackle cases of bogus job offers or contract substitution. In such cases, workers have to use existing methods of grievance redressal. However, officials can check recruitment done through approved agents since the latter also have to provide these details on the same portal. Luther pointed out that about 40,000 ECNR passport-holders have voluntarily registered after approved recruitment agents were intimated about the pilot phase. All Indians holding ECNR passports with overseas employment visa should register on https://emigrate.gov.in/ext/preECNREmig.action before flying out of India. Registration is mandatory for Indians taking up jobs in 18 notified countries: Afghanistan, Bahrain, Indonesia, Iraq, Jordan, Kuwait, Lebanon, Libya, Malaysia, Oman, Qatar, Saudi Arabia, Sudan, South Sudan, Syria, Thailand, UAE and Yemen. Those already working on employment visas in these countries will have to register when they visit India and fly back again. They need to re-register only if their work visa has changed. Details to be furnished include personal, visa and travel details, emergency contact details in India and destination country and contact details of foreign employer/sponsor in the destination country. From January 1, 2019, failure to register will result in applicant getting offloaded.